Every week the campers are fully engaged with a variety of specialized activities brought into camp. Young People’s Day Camp offers arts and crafts, painting, game shows, dance, karate, Zumba and yoga on various days throughout the week. The campers get to enjoy the physical aspects of dance, karate and Zumba, while relaxing in a more calm environment during arts and crafts, painting, and yoga classes. All the instructors are certified professionals from reputable local organizations that are able to differentiate their instruction for each group of campers with which they are working. Our campers swim three times a week at Cantiague Park in Hicksville just minutes away from our campsite. All of our campers are able to swim in a large 3 and a half foot pool and those who aren't comfortable are able to relax in the facilities wading pool and water playground. Our experienced swimmers have access to both an incredible water slide and diving pool. We have our own water safety instructor and lifeguards in addition to the lifeguards on site so our pool days are extremely safe and a load of fun for our campers at YPDC. Each week brings a new adventure to Young People’s Day Camp when we venture off-site to various fun and exciting locations around Nassau County. 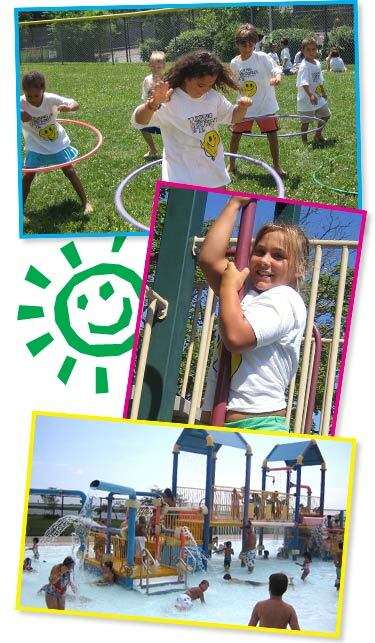 Not only do we spend days at both Cantiague and Hidden Park utilizing the fields and playgrounds, but we also journey to Adventureland, Active Kidz, Kazam, Bounces and slydos, Bounce U, Pump it Up, the Long Island Children’s Museum, BOCES Environmental Center, Movies and bowling. All of these trips allow our students to experience things that are not available to them on-site, and they are able to share these experiences with their peers. Some of our most memorable moments in years past have come on these trips, and we look forward to making many more. Young People’s Day Camp of Nassau features two Talent Shows during the summer. The first is for all our talented individual campers that would like to try out to show off their particular set of skills. Acts in the past have ranged from singing and dancing to gymnastics and hula-hooping. At the end of the season, there is a group Talent Show. At this show there are fewer individual performances and the focus is on the dances that the groups will be working on all summer with our dance instructor.